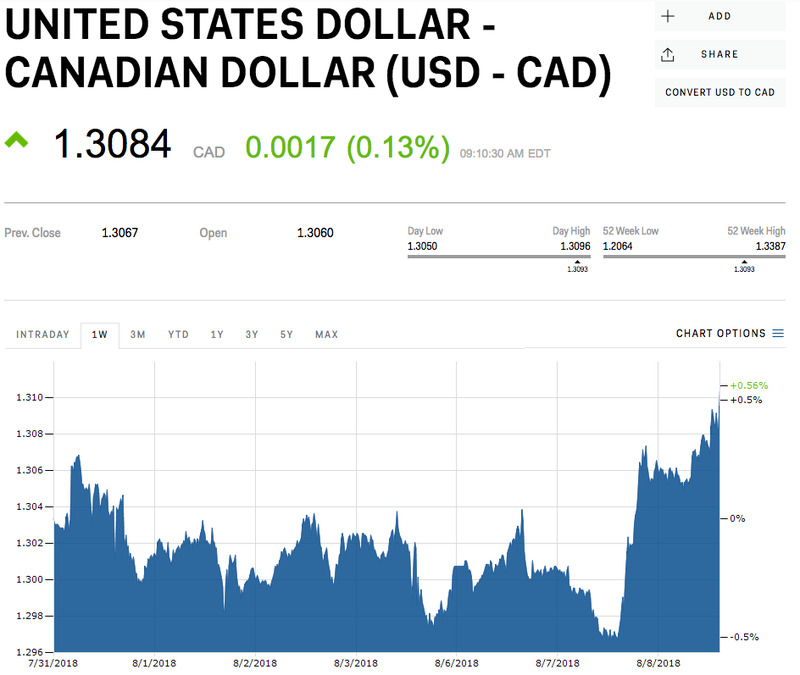 The Canadian dollar slid Wednesday after the Financial Times reported that Saudi Arabia had begun selling off its holdings of the country’s bonds, stocks, and cash. The divestment came after Canada’s foreign ministry condemned the kingdom’s arrest of a prominent women’s rights activist. Saudi Arabia’s national airline suspended flights to and from Toronto on Tuesday. 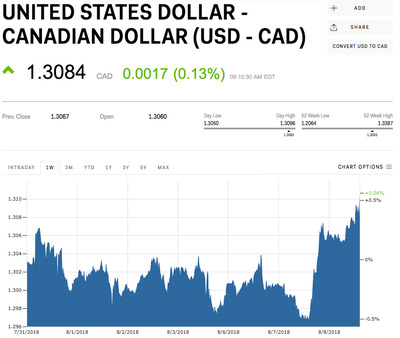 The Canadian dollar fell on Wednesday after the Financial Times reported that Saudi Arabian officials instructed the kingdom’s asset managers to dump their holdings of the country’s assets. According to the FT’s Simeon Kerr, Saudi Arabia ordered the divestments “no matter the cost” after Canada criticised its arrest of Samar Badawi, a women’s rights activist. Saudi central bank and state pension funds told their overseas asset managers to unload Canadian bonds, stocks, and cash holdings “no matter the cost,” the report said. The selling began on Tuesday, it said. Canada’s foreign ministry tweetedFriday that it was “gravely concerned” about the arrests of women’s rights activists. Then on Tuesday, Saudi Arabia’s national airline Saudia suspended flights to and from Toronto in the feud over the arrest of several prominent human-rights activists.